The goal scoring prodigy, Kelechi Promise Iheanacho, has increasingly become an afterthought following much promise. Inspite of his middle name, the promise has virtually vanished. It is a strange phenomenon but one that has suddenly become a reality. On Saturday, Nigerians welcomed Jude Ighalo’s hat trick marking Nigeria’s seven goals in two African Cup of Nations (AFCON) qualifiers with a third qualifier against Libya on Tuesday. Arguably, Kelechi Iheanacho may be Nigeria’s most exasperating talent bar none. His emergence at the U17 World Cup in 2013 made Rashidi Yekini’s record of 37 goals in 65 games appear threatened in the near future of Nigeria’s football. 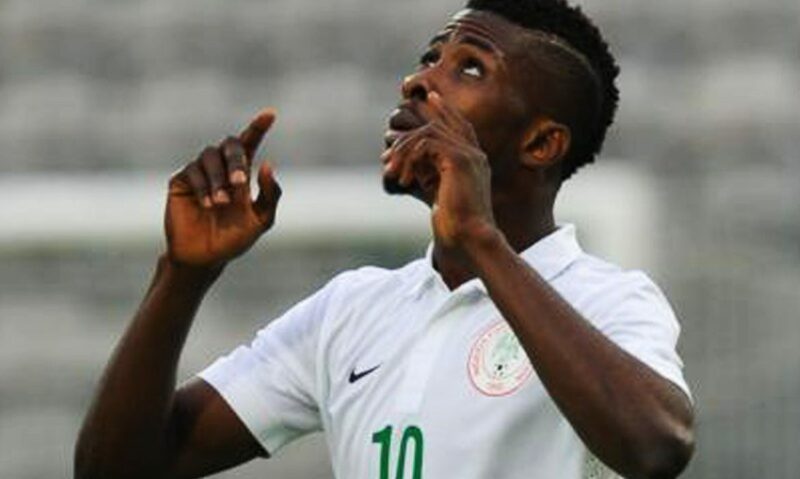 But now, Iheanacho seems almost forgotten in Nigeria’s football. Just a few years ago, he was expected to own the position of Nigeria’s designated goal scorer. So what happened? 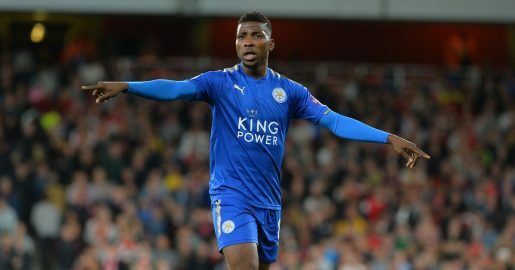 Why is Iheanacho’s position on the team now a dilemma? At the 2013 U17 World Cup, Iheanacho was unplayable. He scored at ease and dominated the tournament and became one of few young talents headed for the highest level. The fact that a major European club, Manchester City signed him and did not send him off on a loan was a further sign that he had arrived. It took little time for him to score several goals for City in substitute appearances. But even then, his clumsy first touch at the senior level became an emerging issue. Yet, his deadliness in front of goal overshadowed any perceived deficiencies. If it was a deficiency, the coaches were expected to solve it quickly. For Nigeria, he quickly became a key player with regular scoring. His stats? Eight goals in his first 14 games (see Table 1). Furthermore, he was becoming an unquestioned starter with a full game played in 6 of those 14 games. At the time, his technique in front of goal was clearly much better than his competitors for the position. He was already compared to previous prolific Nigerian strikers. His star was steadily on the rise. But 2017 was not kind. Iheanacho had not impressed his then newly-appointed club manager, Pep Guardiola, in the 2016/17 season. It was clear the writing was on the wall. Guardiola, with a focus on retaining ball possession and Iheanacho’s difficulty doing so, it was not a surprise that Kelechi’s days at City would come to an end. With his confidence dented, Kelechi’s output at the national level was hit. Since his fast start of 8 goals in 14 games, Kelechi has now produced zero in his last nine! In that wretched stretch, he has not played a full game and only a maximum of 45 minutes in five of nine games. That is a stark contrast from his fast start. But it isn’t as easy as simply a fast incline and a decline. Iheanacho remains gifted in front of goal. That he has not scored in the last nine games is largely attributable to the large extent on his lack of playing time. No one on the team, then or since, is more clinical in front of goal. That much is clear and that has to be apparent to the national coach. The dilemma, however, is whether the coach should rely on a player whose confidence is dented? Moreover, Iheanacho’s inability to retain or protect the ball in tight space presents its own problems especially with Manager Rohr relying on just one striker. Perhaps, Kelechi would be much better in a two-striker formation but the manager has not shown a preference for such a formation. Alternatively, Kelechi as a supersub can be valuable but the Rohr rarely makes early second half substitutions to provide the time required for consistent production in front of goal. Ultimately, this dilemma for Nigeria may be resolved if another reliable striker, with additional qualities, can be found. In such a situation, the much-heralded Iheanacho who thrilled at the U17 level may be headed for the scrap heap. But until then, the manager seems to be hedging his bet by keeping Iheanacho close by, his demerits aside, in case Kelechi’s deftness in front of goal is suddenly needed. Games Assists Goals Goals/Gms Cautions Disqs. Ave. Mins.